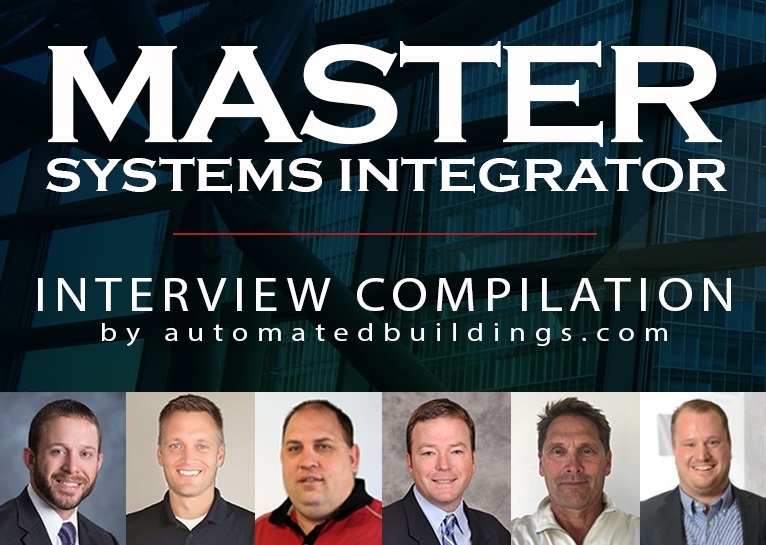 Cochrane Supply & Engineering has teamed up with AutomatedBuildings.com to present a Master Systems Integrator Interview Series to demonstrate their significance within the industry. MSI’s are service providers. They typically provide a common data view for the systems they control within a building, campus or enterprise. Their purpose is to connect the building stakeholders to their systems and provide useful, meaningful, and important information and control. They make sure all systems communicate properly, collaborate with building owners to ensure systems information will be accessible and usable, and they develop software layers responsible for integration, aggregation, and communication of the building systems. To achieve this, it is an MSI’s responsibility to educate the construction team, look for synergy to save money, review progress, collaborate with IT Departments, and connect subcontracted systems and provide the interfaces required to run and advance the building. We work with MSI’s, and many are contractors that have evolved from Mechanical, Electrical, Data/Telecom, Process, and now Database companies that are getting into analytics. R&D: 15% - Keeping up with technology changes can be a daunting task. Many of our clients lean on us to guide them with regards to technology trends and market needs. We see the good, bad and ugly and are paid to keep our clients from making costly mistakes. Our clients don’t expect us to get paid on their dime to learn, so being on top of new technologies, software options and ever-changing building codes are of critical importance. Consultation: 40% - Our responsibility is to provide our clients with “good” information so they can make “good” business decisions. It is in consultation where an MSI pays for itself. Establishing trust and technical credibility is a requirement. Field Commissioning: 20% - This area of service has grown tremendously in the existing building market. An MSI inspects and validates system functionality ensuring the owner received what he paid for. This also provides the opportunity to implement analytics and continuous commissioning, while developing cost-effective migration paths based on existing field conditions. While there are starting to be more and more advanced customers out there who already know the benefits of working with an MSI, we find that there is still a lot of work to be done in explaining the difference between integrators and MSIs. The earlier we can get involved in a project, the easier it can be to clearly show these benefits, through involvement in design and procurement. Our main priority in the MSI role is to serve the customer as an overall technology partner. Sometimes this means making unpopular recommendations like slowing a process down to make sure that stakeholders really understand the benefits of different technologies, or altering a scope and having it re-bid, but in the long run we feel like those kind of difficult conversations are something that set MSIs apart in the industry. There are a number of industry challenges; for new construction, it is the construction process itself – it’s horribly flawed. High levels of integration are initially envisioned and put in the spec only to be “value engineered” out due to budget constraints, and those are largely due to unrealistic budget setting exercises, to begin with. For existing building (retrofit) work, the challenge is too many choices and a lot of “snake oil” being sold. Given all the technology available today, most people can connect two products together and make them work, that doesn't make them a systems integrator. Working with IT was an initial challenge, but now that we have a great working relationship with them, IT is our friend. To get something done that I could get approved in one day would take them 18 months to get approval if they went their own way, so they finally figured that out and quit punishing themselves. We have built up the trust and contacts in the IT department which allow us to work with them to get our projects done. The biggest single challenge is managing other groups that are working on the site, that are trying to outdo us causing us problems by doing the wrong things and not following the program. For example, different engineering groups not wanting to leverage the functionality that we already have into things; trying to use somebody that’s not an approved vendor and going about it in completely the wrong way. This will continue to be a problem due to the complexity of the projects. Then when they come to me and say integrate it, I have to say sorry, you bought the wrong system. That’s the one that causes me the most grief. The MSI role is perfectly suited to our company’s core values of focusing on our customers’ success and building long-term relationships. It allows our team to serve as value-added experts and continually grow in their technical knowledge. With the advancing pace of technology and the wave of IoT converging on our clients, our role in simplifying the “noise” and helping buildings perform better is only going to become more crucial. Join the MSI discussion live at the AHR Expo in Chicago January 22nd – 24th. For details and registration, visit https://ahrexpo.com/.